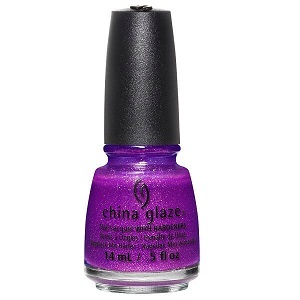 China Glaze Nail Polish, We Got The Beet, 1469, .50 fl. oz. Red-toned violet nail color with gold micro-glitter. China Glaze Lite Brites Collection, Summer 2016.